Earlier this year, Derek Jeter and Jeb Bush reportedly agreed to buy the Miami Marlins for $1.3 billion. Only a couple small problems: the pair didn't agree on their roles and didn't have enough liquid cash for a deal. Since that deal fell apart, Bush left Jeter's buying group, but the former shortstop has found a pretty good replacement in Michael Jordan. Jordan joins Jeter and several other investors as the frontrunners – or at least the biggest names – to buy the Marlins from current owner Jeffrey Loria. Loria is seeking a bid of $1.3 billion. So far, nobody has reached that amount. Another potential bidder is a group led by Quogue Capital founder Wayne Rothbaum. That group features Tagg Romney, son of former presidential candidate Mitt Romney; rapper Pitbull; and former pitchers Tom Glavine and Dave Stewart. After Bush left Jeter's group, he headed to the one led by Rothbaum. The third group is led by Jorge Mas, who has the added advantage of being local to Miami. Oh, it should also be mentioned that Jeter is reportedly only willing to put up $20 million of his own money towards the purchase price. 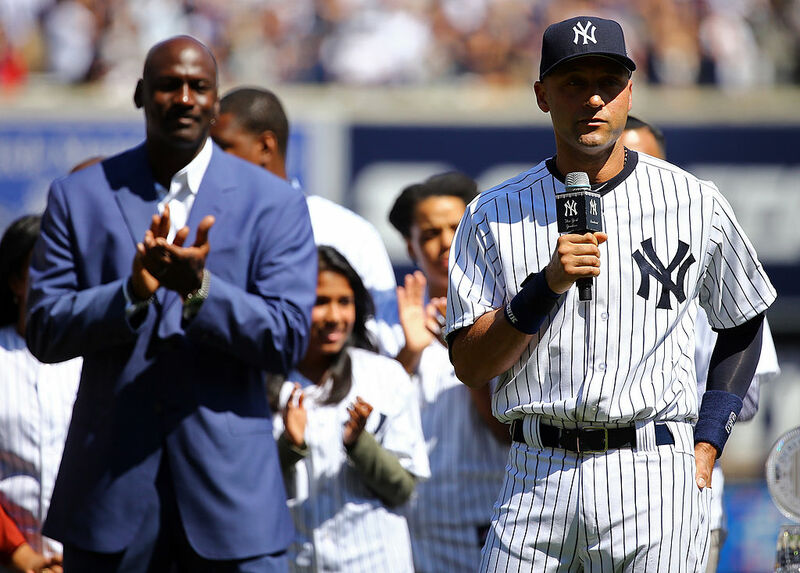 Some insiders think that part of the reason Jeter has lost partners is because he's putting in a minuscule amount of money while seeking to exert majority control of the actual team. Perhaps Michael Jordan would have less of a hangup about this arrangement. Loria purchased the Marlins in 2002 for only $158.5 million. The franchise has won two championships, one in 1997 and a second in 2003. Recent years have been less kind, even after building a new stadium. Could having two of the best players in their respective sports turn the Marlins' fortunes around? We'll just have to wait and see which group Loria ultimately decides to sell to – whoever it turns out to be, Loria is going to make a TON of money. Derek Jeter has been trying to become an owner of the Miami Marlins for a long time. It looks like he's finally accomplished his goal.